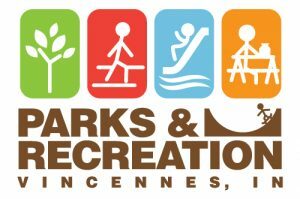 Welcome to the Vincennes Parks homepage! WE HAVE MOVED OUR OFFICES TO CITY HALL, 201 VIGO STREET! Here you will be able to find out about the parks department’s latest news, programs, special events, and shelter/rental fees. The Vincennes Parks consists of 4 parks; Gregg, Chicago, Four Lakes, and Lester Square. We offer shelter facilities for renting, lighted tennis courts, sand volleyball courts, horse shoe pits, 2 walking trails; the Vaughn Trail and Tecumseh Walking Trail, Rainbow Beach Family Aquatic Center, Lester Square Skate Park, Lester Square Fitness Park, Four Lakes Spray Park, fishing opportunities, and playground equipment at each of the parks. The Vincennes Parks & Recreation Deparment shall strive to provide quality park and recreational facilities and services to the citizens of Vincennes, and to develop and maintain our parks at a level that the community can be proud of.